Pauline Amsel, left. 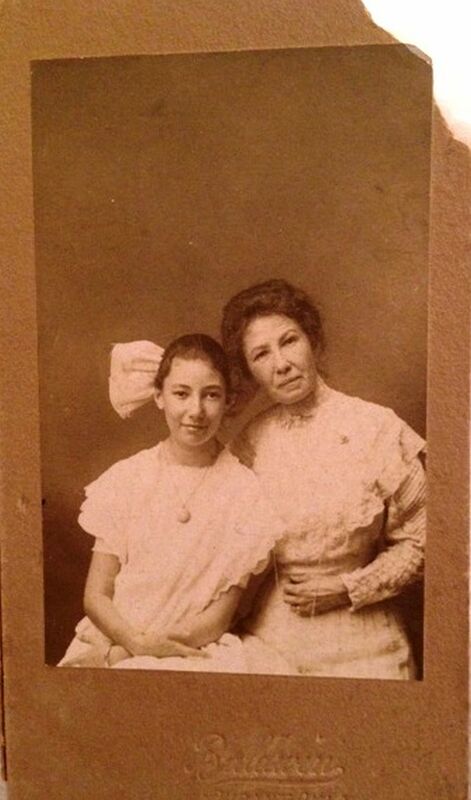 Her mother, right. I spent 5 years researching the life of Pauline, my 14 year old second- cousin, murdered in Durant, OK in 1914. I found neither death nor coronary records. Nor did I find a photo of Pauline. Pauline died in 1914–a hundred years ago. All of Pauline’s immediate family have long since passed. Today, many of her distant cousins do not even know of her existence. No one had a photo. living in a huge house, studying piano and home economics, well on her way to becoming an exemplary young woman of the time. I imagined her death– slit across the throat, bleeding to death in the dark of night. But I couldn’t imagine how Pauline looked. Then, yesterday– 10 years after my initial research– a Dallas cousin, cleaning out her attic, came across this photo.